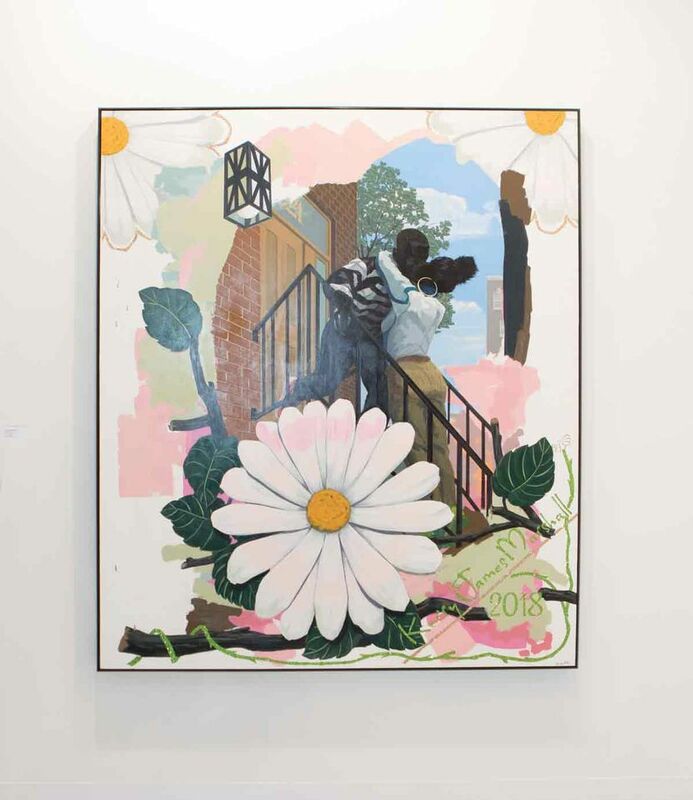 A month after the rapper Sean “P Diddy” Combs paid a record $21.1m for Kerry James Marshall’s 1997 painting, Past Times, two works by the Chicago-based artist flew off the walls during the VIP preview of Art Basel on 12 June. Jack Shainman Gallery sold a new painting, Vignette (The Kiss) (2018), while David Zwirner sold Vignette #12 (2008); both pieces went to private US collectors. Although willing to give prices for other works on their stands, both dealers cited the “sensitive nature” of pricing Marshall’s paintings since the record-breaking May auction in New York and declined to give figures. Sources estimate the combined value of the two works to be around $10m. By comparison, a new acrylic painting on canvas sold at Art Basel in 2016 for $350,000, indicating primary market prices have risen ten-fold. The auction, which saw Past Times rise in value by nearly 900 times since it was bought for $25,000 in 1997, has created a palpable buzz, not least because P Diddy outbid Zwirner, who was buying on behalf of a US museum, believed to be The Broad in Los Angeles. The sale was, Marshall told us last month, “probably the first instance in the history of the art world, where a black person took part in a capital competition and won”. Other high-profile African American collectors include the power couple Jay-Z and Beyoncé and the former First Lady Michelle Obama. Away from the spotlight of the auction saleroom, however, Marshall’s career has been quietly playing out for several decades. Known for being a measured painter—Zwirner describes him as a “hard working, but not a prolific, artist”—his material has been at a premium, with much of it going to US museums, who rarely, if ever, resell. Zwirner’s gallery in London is planning an exhibition of new work by Marshall in October to coincide with the Frieze art fair. This will be his first show there for four years. Jack Shainman, who has been working with Marshall for 25 years, says the artist “had a vision of his trajectory” from the beginning, chiefly having a major presence in museums around the world and being on public display. “For Kerry, being in the studio and focusing on the work is essential,” Shainman says. The Canadian property marketer Bob Rennie, who owns the biggest private collection of Marshall’s work, recalls how Shainman agreed to sell him his first work 20 years ago, Untitled (Black Power Stamps) (1998) for $100,000, on the proviso that Rennie paid the $5,000 shipping fee. To this day, Rennie pays for transportation costs when a museum borrows a work. “It’s a modest but efficient contribution,” he says. 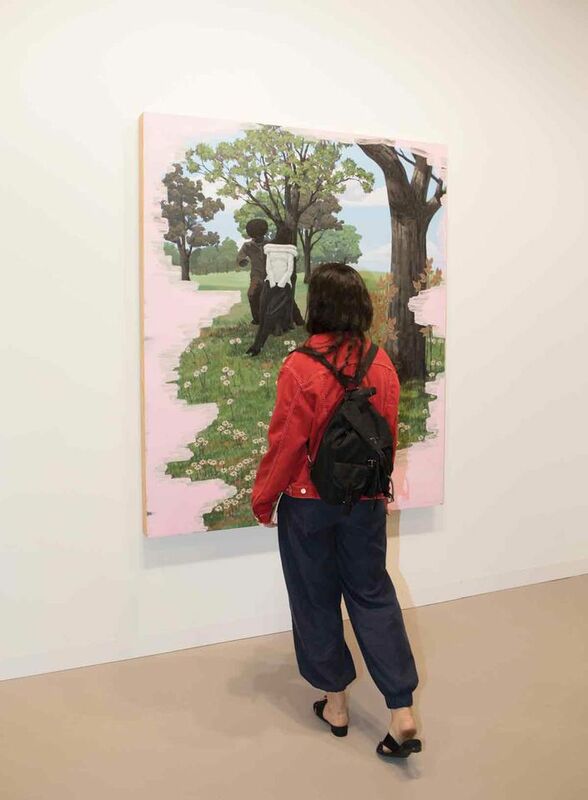 Describing his relationship with Marshall as a “journey”, Rennie says he waited almost ten years to acquire the large-scale painting Garden Party (2004-13), which Marshall reworked several times, exhibiting the various iterations in 2003, 2007 and 2013. Developed from a series that focuses on public housing projects in cities such as Chicago, where Marshall lives, and Los Angeles, where he grew up during the peak of the civil rights battle, the work is one of 33 objects in the survey currently on show at the Rennie Museum in Vancouver (until 3 November). Marshall’s commercial boom follows recent critical success, notably with the wildly popular retrospective, Mastry, which opened at the Contemporary Art Chicago in 2016, stopping at New York’s Met Breuer before travelling to the Museum of Contemporary Art, Los Angeles in 2017. “I’ve been around the block and I don’t think I’ve ever had such a chorus of extraordinary reviews and celebrations,” Zwirner says. Last year, Marshall told the Guardian newspaper that his ambition was “never to make a lot of money”. But recent market developments have thrust the issue into the spotlight. As Zwirner points out, you can almost count on one hand the number of living artists to have traded over $20m. “It’s an incredibly rare feat—you’ll see that once in a blue moon,” he says.